January 21, 2013 is an interesting date this year as the inauguration of President Obama's second term falls on the same day as the legal public holiday to celebrate Martin Luther King Jr.'s birthday which is Saturday the 19th. MLK believed in service to the community. “Everybody can be great ... because anybody can serve. You don't have to have a college degree to serve. You don't have to make your subject and verb agree to serve. You only need a heart full of grace, a soul generated by love.” — Reverend Dr. Martin Luther King, Jr.
Four years ago, on President Obama's first inauguration, he started a tradition of honoring King's passion with a day of Service to support his belief that service 'should be a lifelong commitment—whether it's at the school, community, city, state, or national level.' 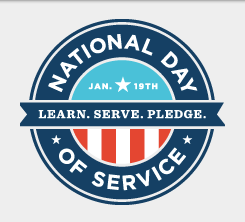 The first family asks that everyone participate on MLK day in hours of service to their community, and they make it easy to do so with a National Day of Service web site where you can search for opportunities to help. These are event organized just for this day where men and women can give their time to help in a variety of ways - seven ways in fact. They organize events into categories of Health, Education, Community Resilience, Economic Development, Veterans and military families, Faith, and Environment. This year King's actual birthday falls on a Saturday so it should be easier than a weekday for people to get involved. You can search here for events by zip code. I plan on doing one of these, but it would be great to get a group of Well-Met Men together to show up together in force. If interested, contact me at kevin@wellmetman.com. I am open to choosing one that the majority agree on, otherwise I will pick it out myself as we get closer.